Equestrian Sport Advocates, a group of individuals and businesses focused on the welfare of the horse and the sport and future of show jumping. Through many opportunities, and the support of the riders, owners, trainers and riders, we strive to make a difference in the sport. Equestrian Advocates are individually and financially committed to the well being of the horse coupled with education for the owners, riders, trainers and show managers. 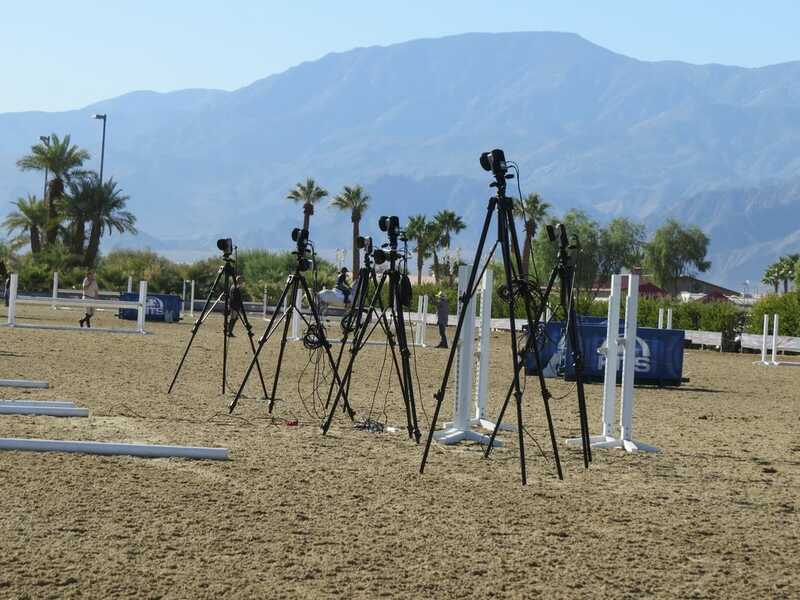 Equestrian Sport Advocates made scheduling time available to meet with several small groups of Young Professionals and those "hopefuls' who approached us with questions. Starting at HITS Coachella and continuing through Somona's Giant Steps show, our Executive Director and staff met with small groups and individuals with a passion and heart for the sport. Young riders who would love to contribute to the sport of Hunters and Jumpers, and have or want a career, share a level of frustration with our process but have a commitment to 'doing it right'! We have found the common thread among ALL of them is a passion for learning and a thirst to be quality Professionals.....but have no idea what that means in reality......we must help pave the way! ​Look for workshops and discussion panels. Equestrian Sport Advocates DO NOT have the 'answers'...but they have the commitment to start somewhere. 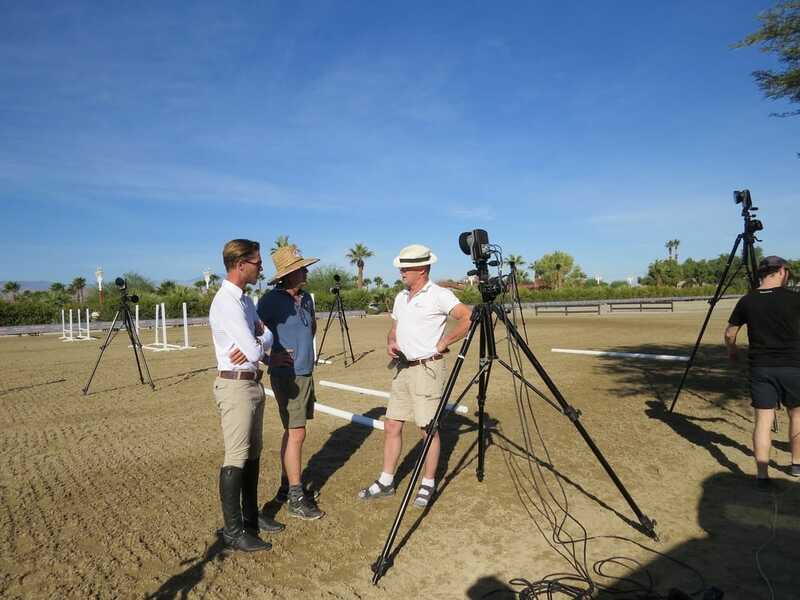 Equestrian Sport Advocates undertook an in depth study of the front leg suspensories of our competing equine partners. Approximately 250 horses were ultra sounded free of charge at the beginning of HITS Coachella Desert Circuit 2016. Approximately half of these horses were ultra sounded again at the end of the circuit in order to compare and compile information. 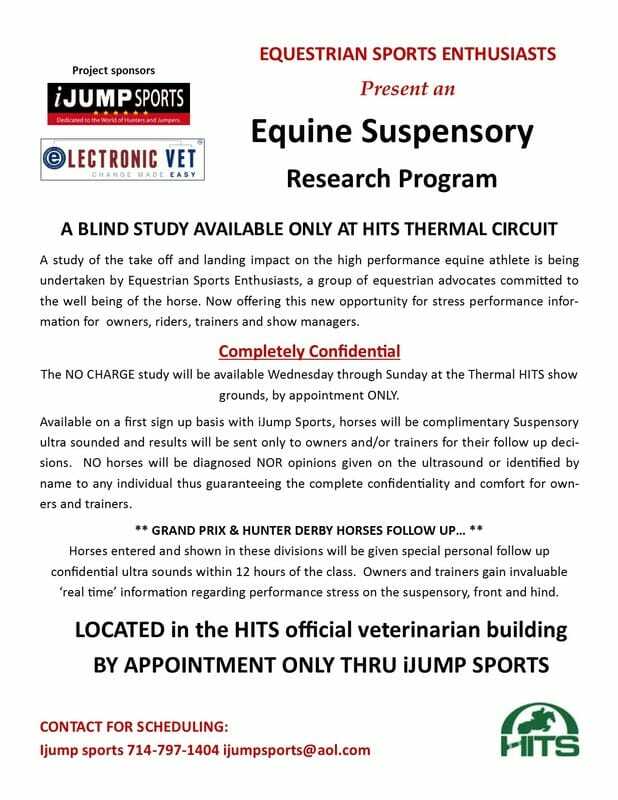 In the compartive study at that time it was determined that none of the horses ultrasounded in the first week ofthe circuit and then comparitively ultrasounded during week 6 had any additional injuries to the suspensory legament. ​The research study ultresounds, for indepth compaisons and study, are now in the hands of Davis University for further indeph review. Special thanks to Dr. Pablo Espinosa!!! 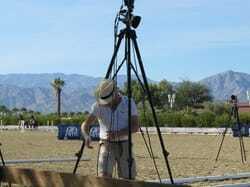 A World premiere study in the evaluation of biomechanics on a horse actually jumping. An interesting approach to the equine mechanics and physics of motion. Learning how the different joints and parts ofthe equine body work together, or independently and also study the resulting facts. The study is ongoing. Special thanks to HITS and Tom Struzzeiri for their never ending support of our Enthusiasts!! !